After a costly, two-year fight, the Errington family, who have been making cheese in Scotland since the mid-1980s, have won a court case accusing them of causing a fatal case of food poisoning. The Errington family have a 300-acre farm near Carnwarth in Lanarkshire on which cheese has been made since the mid-1980s. 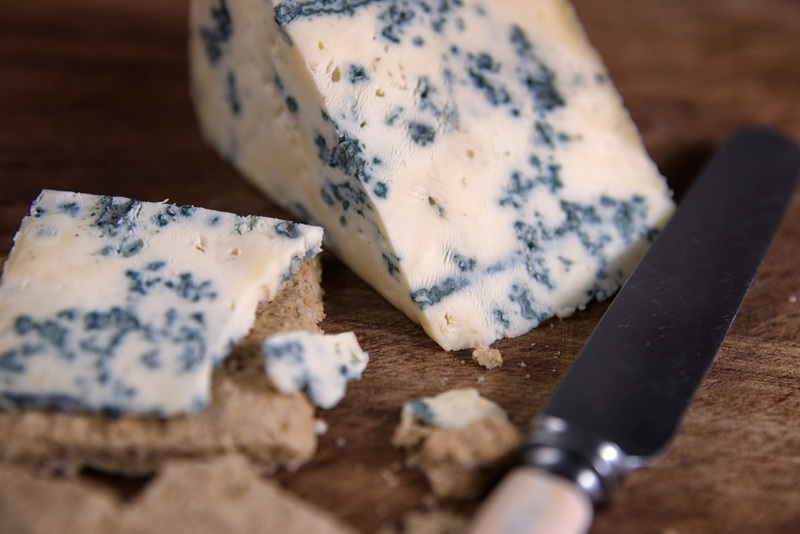 Humphrey Errington was a pioneer cheese maker in Scotland, making a raw sheep’s milk cheese called Lanark Blue. This was the first new blue cheese in Scotland in decades. Today, the Errington family farm is run and the cheese-making done by Selina Errington, together with her husband. They make a range of sheep (Lanark Blue, Lanark White, Cora Linn), cow (Dunsyre Blue) and goat (Lanark Blue) milk cheeses. These cheeses are renowned for their quality and are a staple of the cheese boards of many top restaurants. But in 2016, An outbreak of ecoli 0157 led to 20 confirmed cases of infection, 11 of whom received hospital treatment, and in one case, leading to the tragic death of a small child. The FSS (Food Standards Scotland) authority ordered an investigation and accused the Erringtons of not having a properly hygienic production process. The cheese makers did their own tests and could not find any evidence that their cheese was responsible. Despite this, all the Errington’s cheese had to be recalled, and they had to lay off all their staff, highly-skilled cheesemakers in an area with not many skilled jobs. Humphey Errington represented the firm in court and paid out more than £350,000 in legal fees. The Council racked up more than £550,000 in bills during the dispute. Humphrey said “The sheriff found that Errington Cheese Limited’s food management systems were in compliance with the law and that all the cheese with the exception of four batches complied with food safety requirements. “Sheriff Weir condemned four batches on the basis that they were unfit for human consumption because different Shiga toxin producing E.coli were isolated from samples of each batch. Slow Food believed that not only was the FSS action a huge injustice, targeting a small, artisan producer with an excellent reputation, it threatened the whole landscape of small producers so important to our biodiversity, food culture and countryside resilience. Over-zealous regulation, coupled with bad science and a lack of appreciation of artisan food-making methods are a constant threat to small producers in the UK, also now facing the uncertainty of Brexit. Outside of Scotland, cheesemaking in many parts of the UK has also been suffering from the effects of Bovine TB. Within England, but also in Wales and NI, there is significant Bovine TB in dairy producing areas. The producers in these areas have to undergo significant extra testing burdens to continue to produce cheese, whilst worrying constantly that their own herds may be about to be destroyed if the TB spreads further. This situation is a particular obstacle for raw milk cheese-makers. The Erringtons might have won a small victory, but it comes at a great cost, and with no guarantee that the livelihoods of artisan producers like themselves will not face similar assaults on their way of life and livelihoods in the near future. Play your part in reshaping the food system and help build a brighter future. Join more than 1 million activists involved in more than 10,000 projects throughout 160 countries around the world, working to provide good, clean and fair food for all. A waterfall, some edible plants, and a dedicated community were all the ingredients required for the foundation of the first indigenous Slow Food Community in the Philippines.